Would an even tinier Wii console be a hit with consumers? 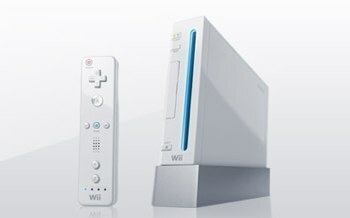 Could a smaller, more compact Wii be on the way as soon as next month? Nintendo World Report seems to think so, thanks to an anonymous tipster that reportedly leaked an internal memo from a major retailer. The rumor is light on details, but claims that a "Wii Mini" is coming on December 7, 2012, and will be bundled with the sensor bar, and a single Wii Remote Plus and Nunchuck. As cool as it would be to see how much smaller the Wii can get, this particular leak doesn't come off as anything more than mildly plausible. With the new Wii U on store shelves, and a veritable laundry list of new bundle options for the original Wii, Nintendo would be wise to not clutter up its holiday offerings even further with an entirely new Wii form factor. Still, the rumor has a bit of history in its favor: Nintendo once had a history of releasing slimmed-down versions of its consoles - the NES and SNES come to mind here - as each approach its twilight years. However, the Nintendo 64 and GameCube didn't enjoy the same treatment, and with how small the Wii is already, a redesign would have to drastically reduce the cost of manufacturing in order to warrant a re-release. Until we hear more, we'll have to file this one under "doubtful."